Schumer Caught On Hot Mic: Trump Likes Me [VIDEO] - Joe.My.God. 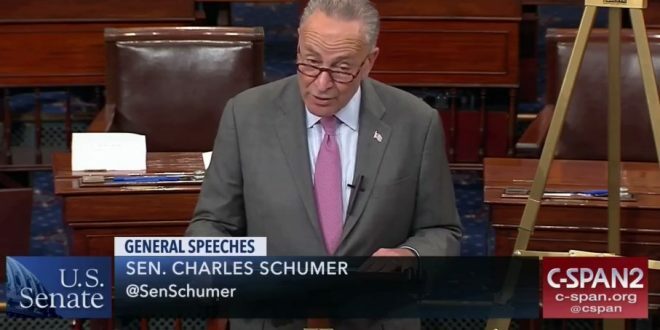 Senate Minority Leader Chuck Schumer (D-NY) was heard saying Thursday morning that President Donald Trump “likes us” and that “it’s going to work out,” perhaps referring to a potential deal shielding young undocumented people from deportation. The comment was picked up by a CSPAN microphone and broadcast live.